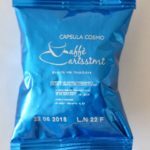 Explore all Carissimi mixes, each of which has its own color. 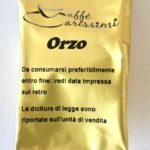 Soft and characteristic aroma, which satisfies each taste, without sacrificing unique 'Carissimi taste". 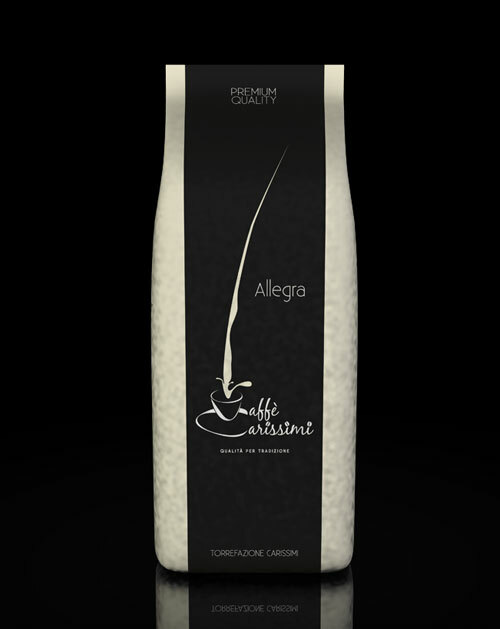 The balanced mixture of high-quality Arabica coffee beans with an addition of Robusta. 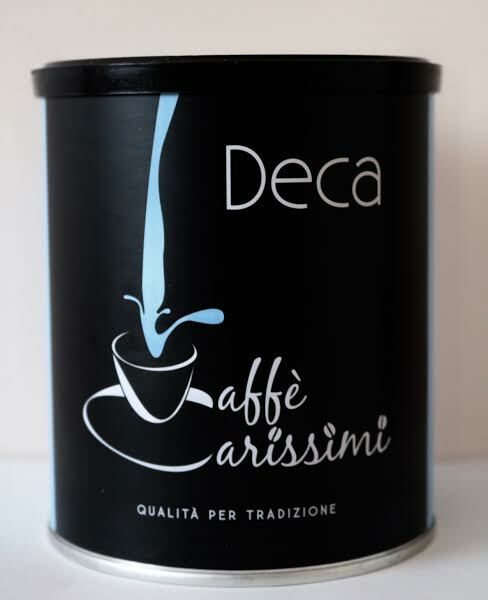 This is ideal for your morning espresso which has a strong, spicy taste and rich aroma of dark chocolate. 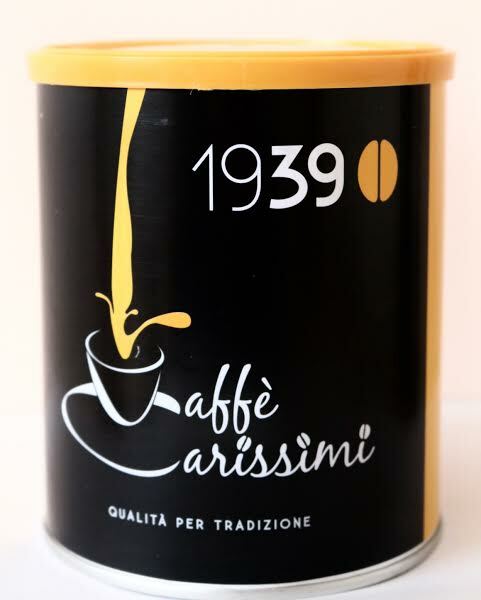 A special feature of this balanced mixture is a classic espresso and simplicity in taste. 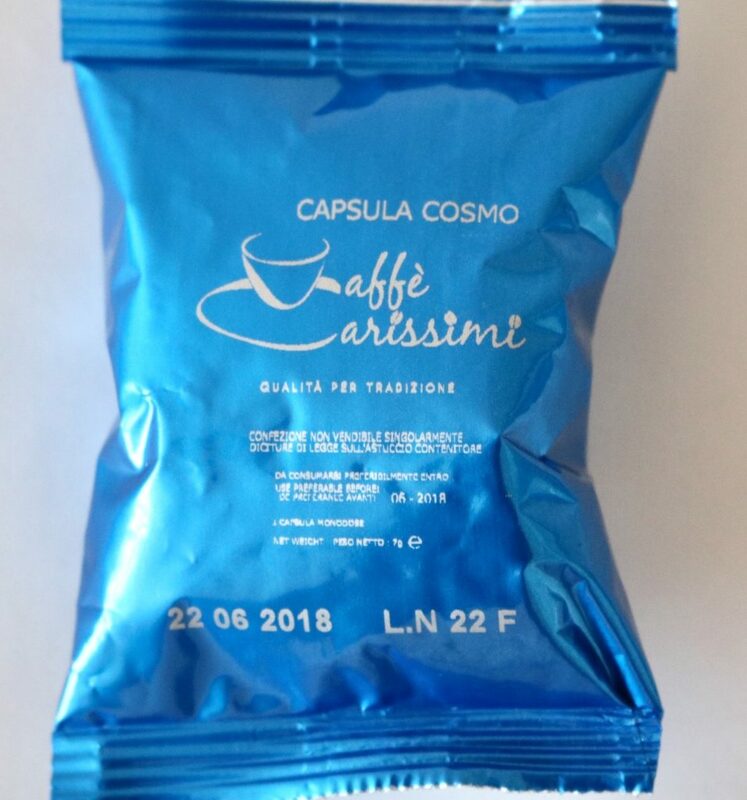 A strong and unique aroma. 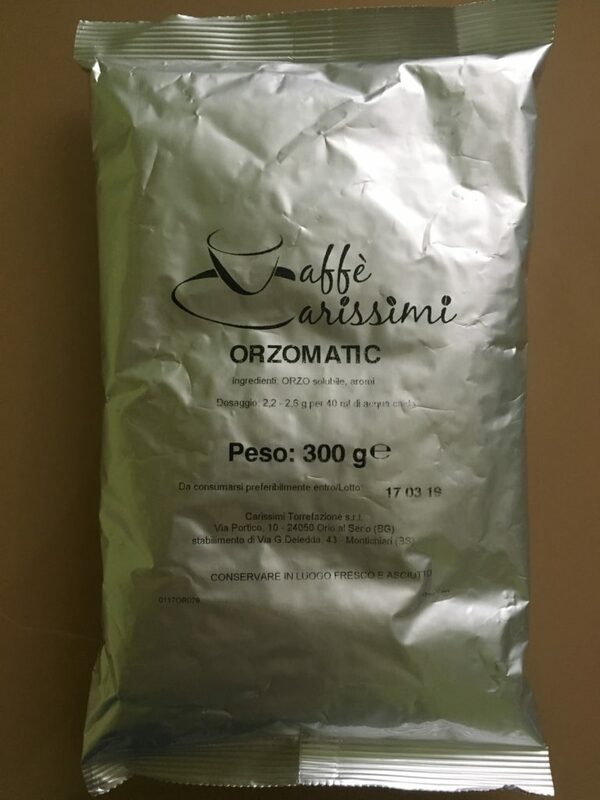 A mixture of the best Arabica and Robusta varieties. 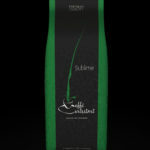 An excellent choice for those who wish a deep and rich taste, balanced aroma, the optimal texture. 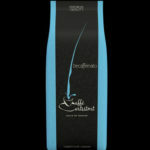 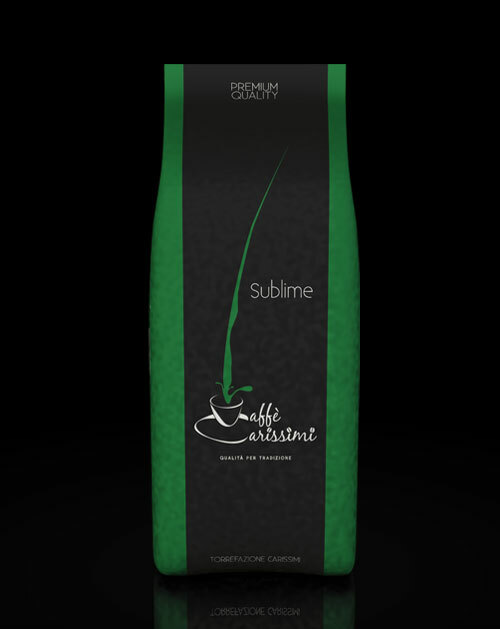 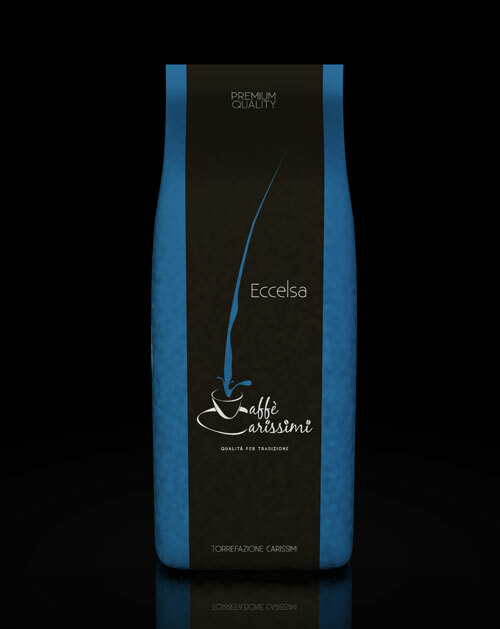 Is suitable for making an espresso with thick and creamy foam and colour of chocolate. 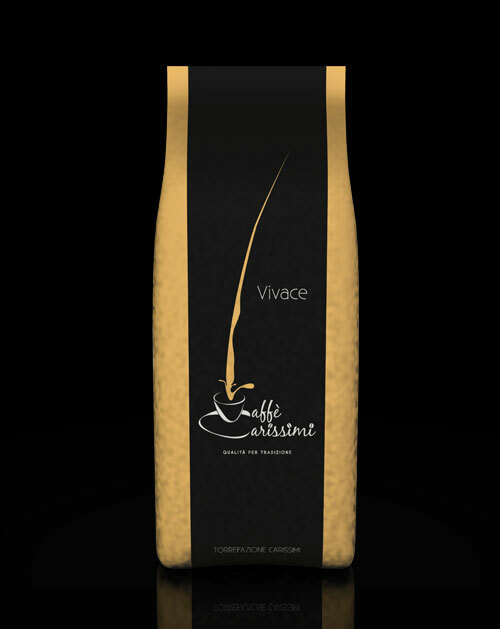 The velvety coffee with chocolate-note and delicious aroma. 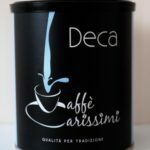 This is ideal for making perfect espresso with a thick foam of coffee. 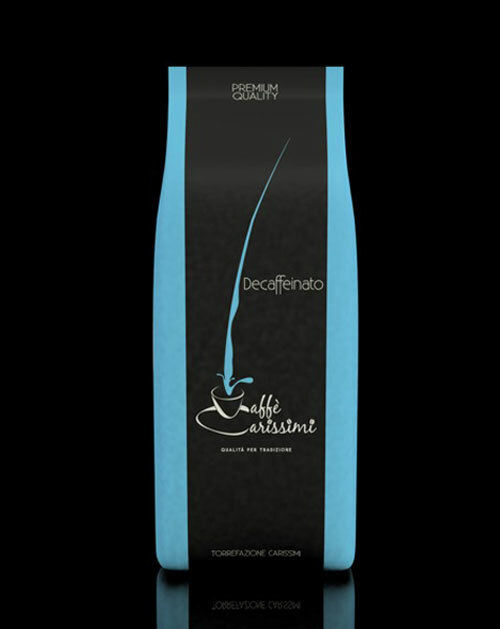 Exclusive mixture of high quality Arabica and Robusta varieties, which have been selected for the most demanding taste. 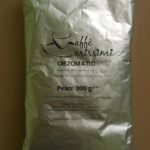 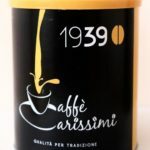 This coffee mix has rich aroma and bitter-spicy taste first and then, which is characteristic of Arabica coffee, pleasant sour aftertaste. It is ideal way to start your day, making awakening an easy and enjoyable experience. 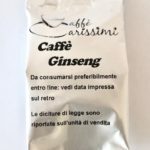 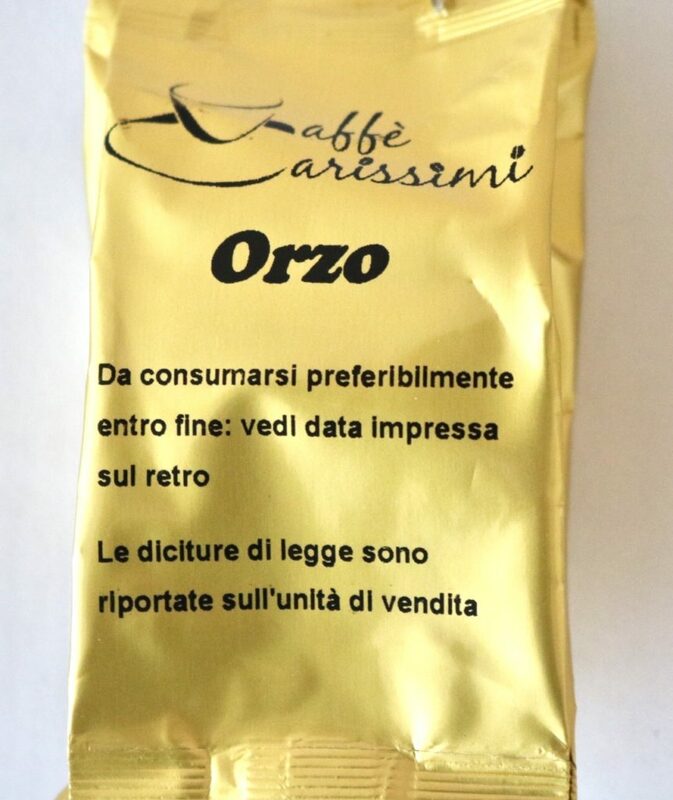 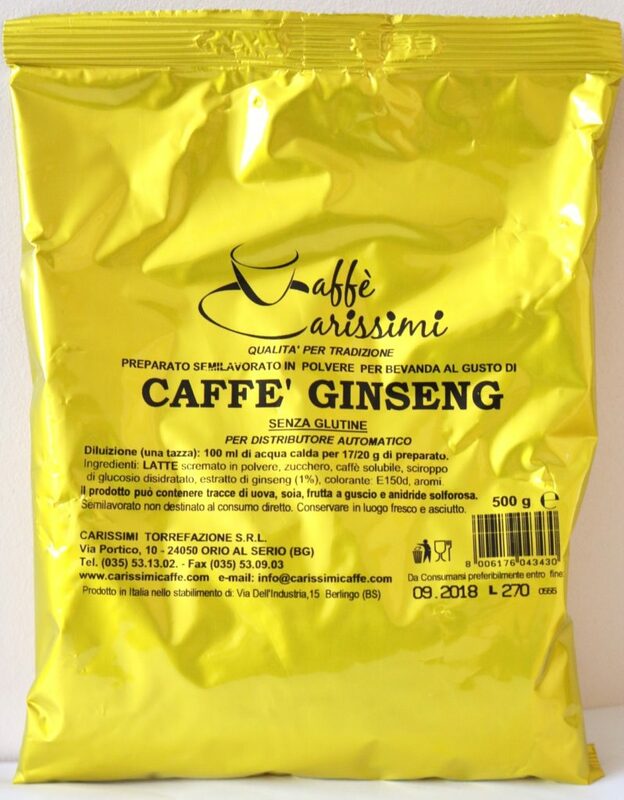 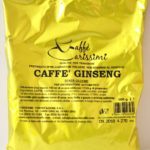 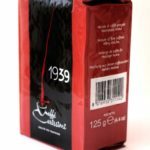 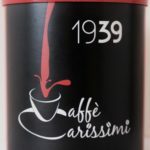 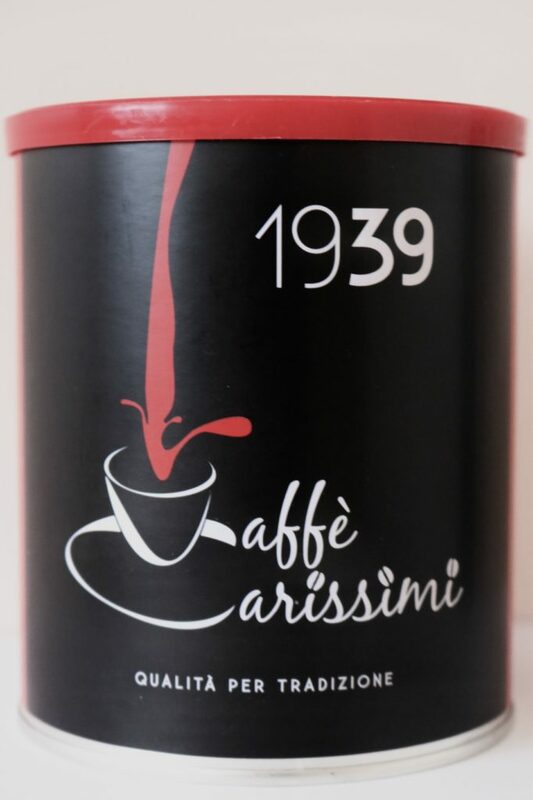 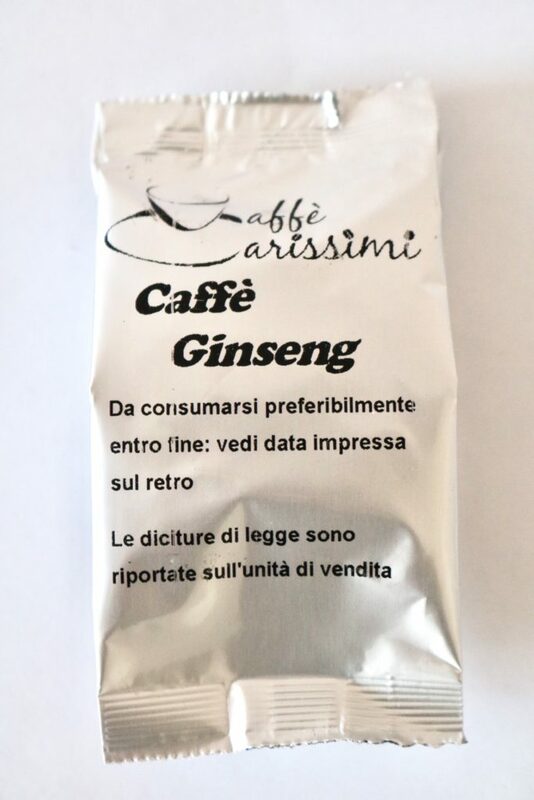 Caffeine- free Caffe Carissimi coffee beans. 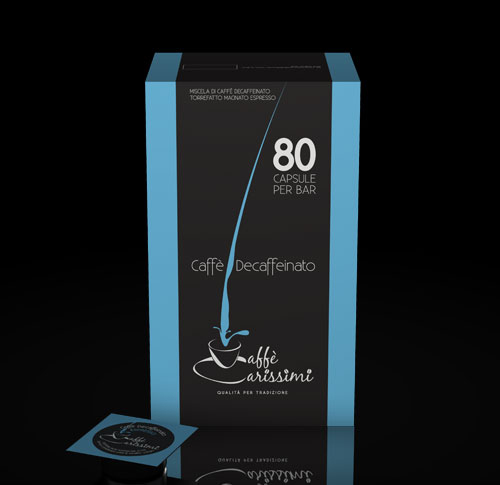 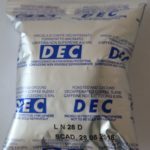 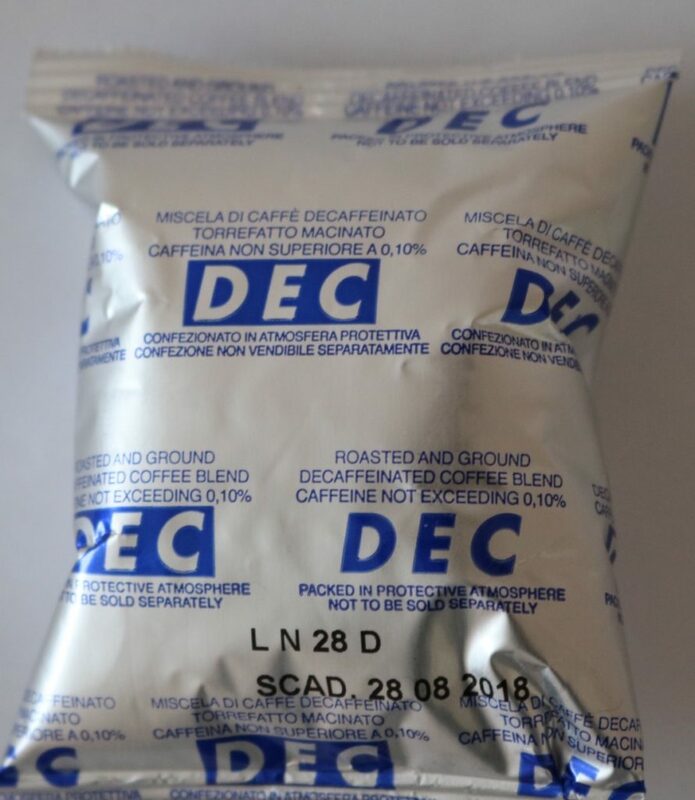 Caffeine-free coffee capsules 6.25 gr for cafes, restaurants and bars. 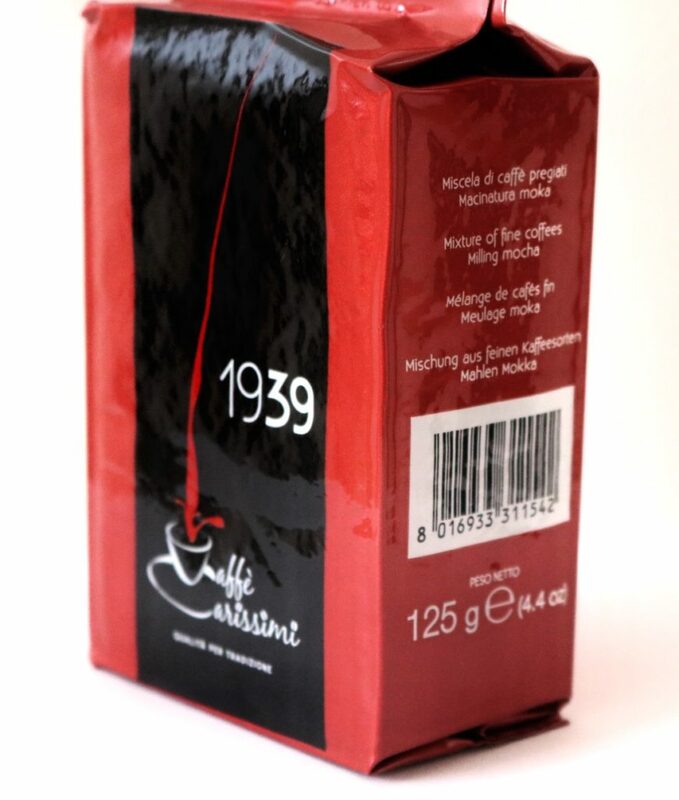 We ensure commercially the supply of our customers with all coffee-related products.